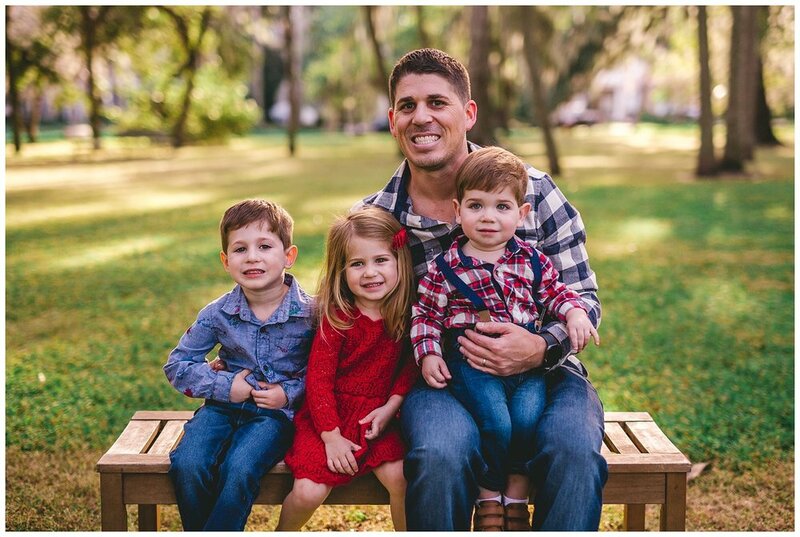 The Weibley Family has three adorable little ones—Reid, Emerson, and Myles—and all of them did amazing during our short time together. I did Myles’ newborn photos soon after he was born, so it was fun to see him walking around, trying to keep up with his big brother and sister! Mom and dad did a great job of coordinating their outfits. Emerson wore a festive red, knit dress with matching bow, while her two brothers looked dapper in plaid and holiday-themed shirts. Check out those handsome suspenders on baby Myles. I can’t believe how grown up he looks in these pictures…all three of them are getting so big! 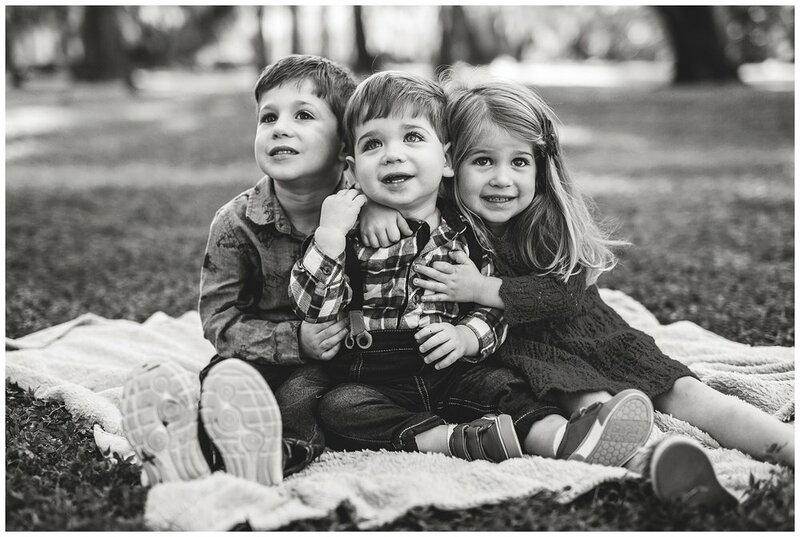 Mom and dad may have their hands full, but they are doing such a wonderful job with these three precious kiddos! They were such a pleasure to work with and brought a huge smile to my face. Merriest of holidays, Weibley Family! Subscribe to hear about our updates and specials!